I’m coming to understand the power and necessity of having vacations now and again. Two mornings ago, while sitting in the sun in my friend Paul’s back yard having tea with his lodger Sarah and also his sister Sarah, One of the Sarah’s commented on how happy and relaxed I looked. The other Sarah chimed in with “constantly!” What a nice reflection to hear and a healthy departure from how I’ve generally been lately. The next day I noticed how again I’m back to living in my exhale rather than my inhale. I notice that over time, as stress levels move up and down, that the natural resting place in my breath is sometimes in my inhale (when stressed) and in my exhale (when relaxed). When calm and easy, I’ll exhale and leave the resting breath there for a long time sometimes before taking an inhale again. When stressed, I seem to naturally hold on to my breath. I’ll then exhale and quickly inhale again to start the cycle over. Fun times the past few days (even including Pevensey Fest) including a breathtaking round of sunset golf on Eastbourne Downs with perfect weather, glorious views and wonderful nature. I even shot a solid-for-me 87 despite not playing much these days. Also miles and miles of walking throughout Eastborne and along the seaside, nice stops for tea and meals, a “knock” of tennis, a picnic by the sea, and just a simple time overall. Now off to Glastonbury this morn for hopefully a deeper dropping. I’ll be staying at the ashram there for a few nights and exploring some of the surrounding beauty and history, and maybe even tracking down the Holy Grail while I’m at it. Why Can’t We Vacation at Home? 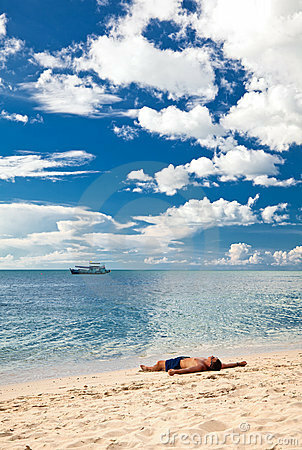 Yesterday, I found myself taking a nap in the sand on the beach in front of my home. It is not something I do often enough and it is absolutely one of the most rejuvenating and deeply relaxing activities that I take part in. What makes that nap interesting is that I had renters in my home for a few days, so I wasn’t living there at the time. Still the day was sunny and I found myself driving to the beach there (my favorite) and laying out a blanket and closing my eyes. I had reason to want to nap, having been up until 6:30am (but I digress and that’s another story…), but still when I am in my home, I don’t usually give myself the freedom to nap/rest. When I am out of my house, or on vacation somewhere, something shifts and I allow myself more freedom to relax and take simple care of myself. If we look at the word vacation, we find it’s structured around the word ‘vacate” which means to remove from and thus leave empty. So vacation implies actually leaving one’s home. But why can’t we vacation while at home Why do we find it so difficult to just lay back and read a book, arrange for a massage, go for a leisurely stroll around the neighborhood, or in my case take a rejuvenating nap in the sand? I would posit that it has to do with an overarching inner judge that has a long list of self-value-worthy accomplishments requiring of achievement. We aren’t fine unless that inner judge is satisfied. We get to go to the gym if we do this, this and this. We’ll make a nice lunch, but first we have to finish that. It’s a voice that supports us in being productive and organized, but it’s also a voice that keeps us perhaps too much in check. It dampers spontaneity. It says, you can live and enjoy your life, but you have to earn that. For me, it’s a bit peculiar, because my home is literally a place where many people and families come to go on vacation, yet to me, I think of it in no small part as the place of my work. If I were to walk into a home like mine someplace else while on a vacation, I would be thoroughly excited and would surely allow myself to drop down into a deeply relaxed state. Seems indeed like a little vacation was just what the doctor ordered. Having just returned from my first vacation, maybe ever, I can totally relate. Regardless of that however, I just love reading your writing. Thank you for sharing yourself!